947 Oakland Hills Drive, Banning, CA.| MLS# IV19058895 | Southern California Homes for Sale. Search properties Southern California. ***HUD HOME***Price Reduced! 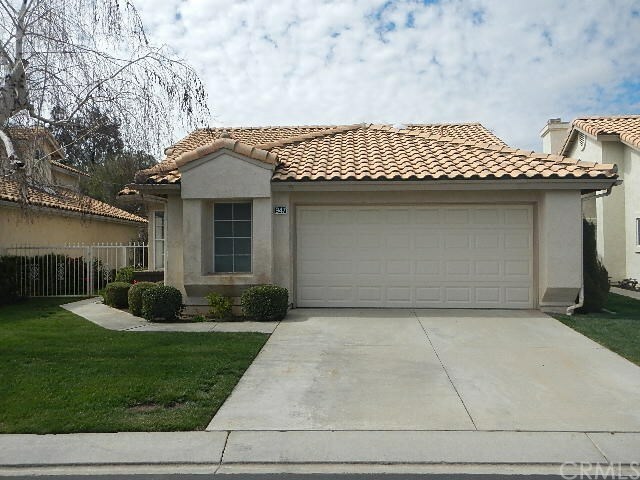 ****55+ Active Adult Community at Sun Lakes in Banning. Nice floorplan on this home provides with side entrance, opening into the Living Room which offers a brick fireplace and is open to the Dining Area. The kitchen is set galley style with an abundance of cabinet and countertop space, there is even a nook area by the sliding glass door, a nice place for morning breakfast. Off the Living Room is a Den/Office or 3rd bedroom. Down the hallway is the main bath and a secondary bedroom with a murphy bed, onto the Master Bedroom with sliding glass door opening to the rear yard and a master bathroom with large shower. Outside is a nice patio and an easily maintainable lot that till provides opportunity to have plenty of your favorite plants/flowers. The Association provides many amenities including guard gated access.